Your Brainwaves > Deerie me! I needed to keep the kids entertained over Christmas. I found a cork board, cut out the shape of a reindeer from card and stuck it on. 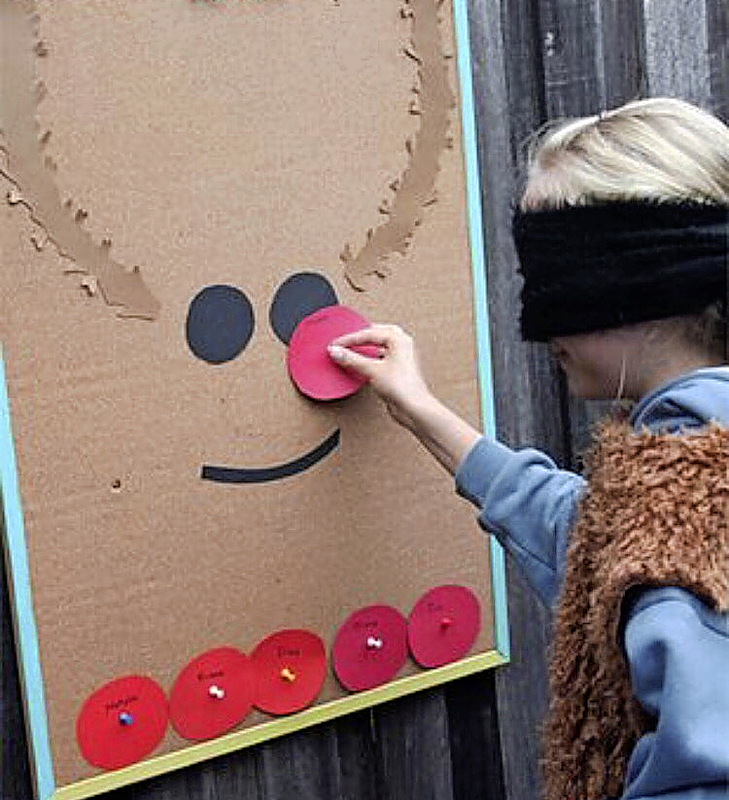 I cut out lots of red noses and found some pins so they could play pin the nose on Rudolph.